Weddings never take a break in our country, and while you can be the typical guest and just go with presenting the newlyweds with money, you could also be a bit more interesting and get the couple a present that will be useful in their new lives together. 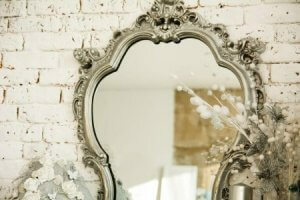 Although, choosing a wedding gift, especially a good one, can be extremely difficult, as the choices are almost unlimited. In this article, we will help you understand how you can choose the best wedding gifts for your friends or relatives, and also give you a list of the best wedding gifts you can buy online in India. Since there are several kinds of gifts you can buy, we will divide the ranking into three categories – home appliances, kitchen appliances, and beauty – to make it easier for you to choose. Wedding gifts can be extremely helpful for the newlyweds if they’re chosen carefully that is; to make sure that you choose a good wedding gift, you should keep the following points in mind. One of the most important things to check while looking for a present is what the couple would actually need when they start living together. The best way to go about doing this is to ask the couple’s closest relatives and friends, and see if there’s anything would find particularly useful. If the gift is going to be somewhat expensive, then ask around to make sure that someone else is not getting it as well, because exchanging presents can be quite the hassle too. In addition, make sure that whatever you’re buying is not just something unique, but actually matches the couple’s taste. Another important aspect that you should think about is, the gifts shouldn’t be so delicate that they break while they’re being transported from the wedding hall, back to the couple’s home. Not only would that end up being a loss, but it could also potentially injure somebody and ruin your friend/relative’s special day. Additionally, no matter how beautiful, it’s better to steer clear of things like mirrors, because if they break, not only would it be dangerous, but it would also be considered inauspicious. We’re pretty sure you do not want to be the one who has to hear long speeches from aunties and uncles about how your gift could bring several years of bad luck. Budget is something that haunts us all along the way, so rather than being loose with it, we recommend fixing a minimum and maximum limit for yourself. 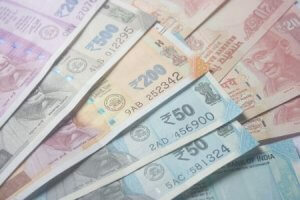 You don’t need to break the bank if you’re not too close to the couple, something between ₹2,500 to ₹3,000 should be enough; but if you are close, then make sure you are spending at least ₹5,000 to ₹10,000, so it doesn’t seem rude. If the gifts you want to buy seem too expensive, you could try to get a few other friends or relatives to share the costs with you and give a meaningful present together. You must make sure that you’re clear on how much everyone is going to pay, who’s going to be the one to pay initially to purchase the gift, as well as how you would like to present it. Let us start with the category of home appliances: if the newlywed couple is going to be living independently, in an apartment of their own, then they would probably appreciate home appliances as gifts, as these are usually quite expensive. Since such gifts are pricey, we would recommend them for either your best friends or relatives you’re close to. This home theatre system would be perfect for couples who are movie buffs, but are usually too busy to go to the cinema; it would allow them to watch their favourite movies in a complete theatre-like manner in the comfort of their homes. It is also great for those who prefer nights in with Netflix, as it makes the experience that much more incredible. This system works best for rooms up to 20 by 15 feet, has an app on Android devices for remote access, and clear audio quality with no distortion even at high volumes. Since this is a pretty expensive gift, it may seem way over the budget for some, in which case, we would suggest sharing the cost among a group of friends or relatives and making it a collective present. If the newlyweds are going to be living in Delhi NCR, or any other city with equally high air pollution levels, then we recommend getting them this air purifier. It takes about 40 to 50 minutes to clean the air in a 300 sq ft room, is really light which makes it easy to carry, and it also works through frequent voltage fluctuations without any problems. It has a special night mode that makes sure it works noiselessly while you sleep, LED indicators to give you the exact quality of the air in the room, and easy to clean filters that should easily work for at least a couple of months. This product may also seem slightly more on the expensive side, so you could share the costs with a 2 or 3 other people. This ultrasonic aroma diffuser is the best gift for those couples who love making their homes smell like a spa. Since the levels of aroma, mist, and light can be adjusted, it can be used both in smaller spaces, as well as bigger rooms. In addition, it turns off automatically when the device has no water left, and it comes with a 1-year warranty as well. 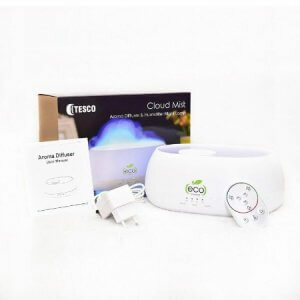 It is also one of the few diffusers on the market that comes with a remote control, so there is no need to go to the device if you want to change the settings or turn it on/off. Furthermore, it’s the only gift in this category that is not overly expensive, so if it’s a close friend’s or relative’s wedding, but you’re on a budget, then this would be perfect. This category is great for choosing wedding gifts for foodie couples, those whose dates revolve around how good the food is going to be, rather than how beautiful the location will be. These gifts can be on the slightly pricier end as well, so again, we’d recommend getting these for either a good friend’s wedding or a close relative’s wedding. If the newlyweds love deep-fried food, but at the same time, also want to live slightly healthier lifestyles, then this would be the perfect gift. 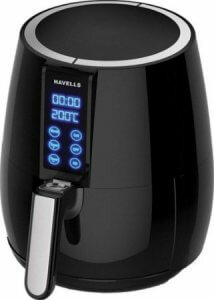 This air fryer will let them enjoy their favourite fried foods, without worrying about their health too much. 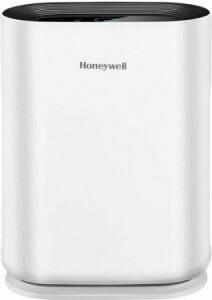 It has a digital screen with soft-touch buttons, which makes it much more convenient to use than others. Additionally, it’s not large or bulky, so it won’t take up a lot of space in the kitchen, and it’ll be really easy to clean as well. Since it may seem like a bit of a splurge for just one wedding though, we recommend sharing the cost with a few friends or relatives to make sure you don’t go over your budget. 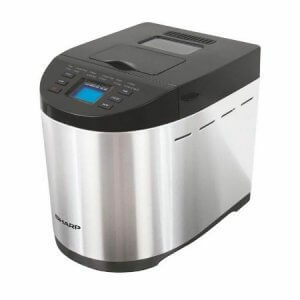 This bread maker would be the perfect wedding gift for those couples whose love for freshly baked goods is almost equal to their love for each other. This would be a great present for both those who’re good at baking, as well as those who’re complete beginners, as it has multiple settings for baking various kinds of things, and it also performs basic functions like kneading. It is much less time consuming as it does almost everything for you once you’ve added all the necessary ingredients to the bowl. 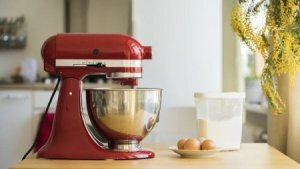 Although it seems expensive, it would be a great present to gift collectively and sharing the costs among a group of friends or relatives, especially if you know that the couple would appreciate having a machine that makes baking hassle-free. If the newlyweds are known for their love for homemade chutneys, juices, or masala, then this would be the perfect gift for them. This mixer grinder works well as both a wet grinder, as well as a dry grinder, which makes it wonderful for making dry spice powders like chilli powder or cumin powder, and also for wet masalas like bhuna masala. It comes with 3 stainless steel jars, and one plastic blender jar for making juices; all the jars except the smallest “chutney” jar can run hands-free as they have safety locks on the lids to ensure the contents don’t spill. 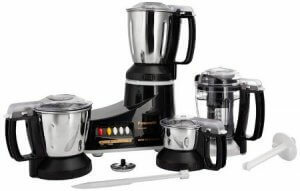 Additionally, this mixer grinder is considerably quiet, comes with a 2-year warranty, and isn’t too expensive, so you might not even need to share the cost. This category is much more affordable compared to the previous two, so it’s better for weddings of those friends or relatives who you’re not that close to, or as extra presents for those who you are really close to. All the beauty picks in this category are gender-neutral, although whether the couple would like the scents would depend on their personal preferences. This cruelty-free bath set would be amazing for a couple that loves fresh, almost citrus-like fragrances, which would energise and rejuvenate them every day. The set contains a bar soap, a shower gel, a body scrub, and a body butter; all the products are really mild and work especially well during winter when the skin is drier and more sensitive. The bar soap and shower gel do not strip away moisture from the skin, the scrub is great for exfoliating and removing dead skin cells, and the body butter properly hydrates the skin to keep it soft and glowing. While the size of the products may seem small, a little goes a long way, so they won’t run out as quickly as you might expect. There aren’t many who hate the scent of roses, so if you’re unsure what sort of fragrance the couple might like, this would be the safest bet. 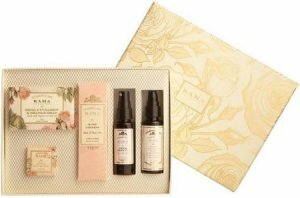 This set contains both bath products, as well as face products, all of which are rose-based, and therefore, are great for balancing the skin’s pH levels and making sure the skin doesn’t look dull. The products are ayurvedic, all-natural, and especially great for combating dry, rough skin. While in most gift sets, soap bars tend to be the least admired product, this particular soap bar actually happens to be one of most loved products in the set. This set is slightly more expensive than the other two, but the quantity and quality of the products make it worth it. 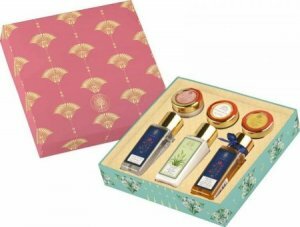 This set of ayurvedic facial products is one of the best gift sets on the market because you can feel the luxuriousness of the products from the box itself. The scents for all the products are typical traditional Indian fragrances, such as sandalwood and rose, and they’re quite strong as well, so they keep you smelling heavenly for a while. All the products in the set are perfect for those with dull and dry skin; the cleanser and scrub are definitely the highlights as they make the skin glow from the first use itself. The rest of the four products include a sunscreen, a bottle of rose water, a face cream, and a lip balm, which are all lovely to use as they feel really relaxing and help relieve all the stress after the wedding. Weddings can be a stressful time for all of us, and selecting the right present can be one of the biggest reasons for that if you’re one of the main guests. There are a multitude of options on the market, and it can be really difficult to choose the best one when you’re overwhelmed by the sheer choice itself. However, we hope after reading this article, you feel a little more prepared to handle the daunting task of choosing a wedding present. Since we’ve also given you a list of the best wedding gifts you can find online, we hope the process of choosing one will have become much easier for you now.